Located on an American science station on Ross Island, this is not the luckiest of churches. 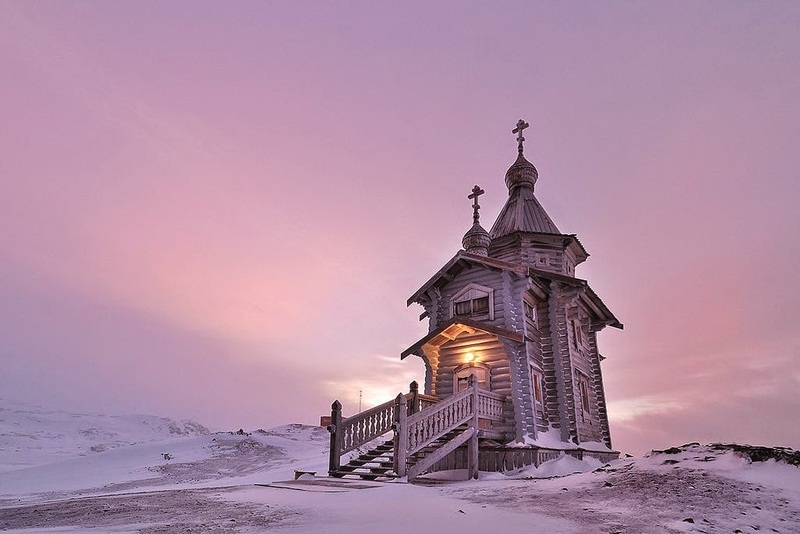 Despite being built in an isolated frozen landscape, the church was destroyed by fire twice. 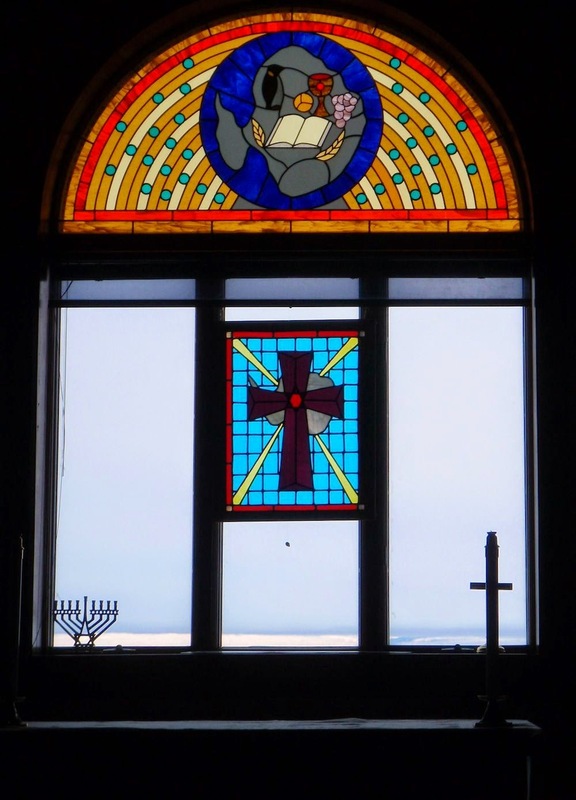 The original church was devastated in a blaze that started in the heater room while its replacement burnt down after it had been abandoned for several years and caught fire during a severe storm. 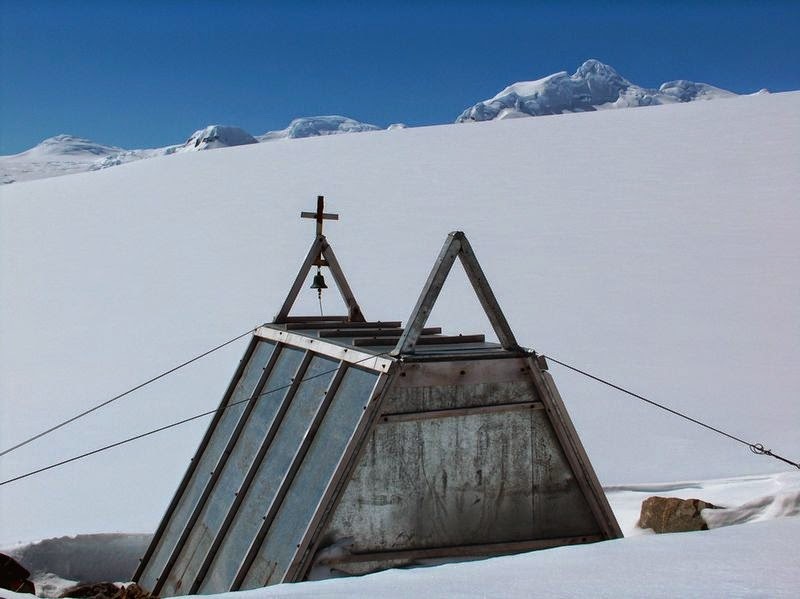 The current church, also built by the seasonal residents of the station, features custom stained glass featuring the Antarctica continent. During winter, the station is host to around 200 people, while summer sometimes sees up to 1,000 visitors. 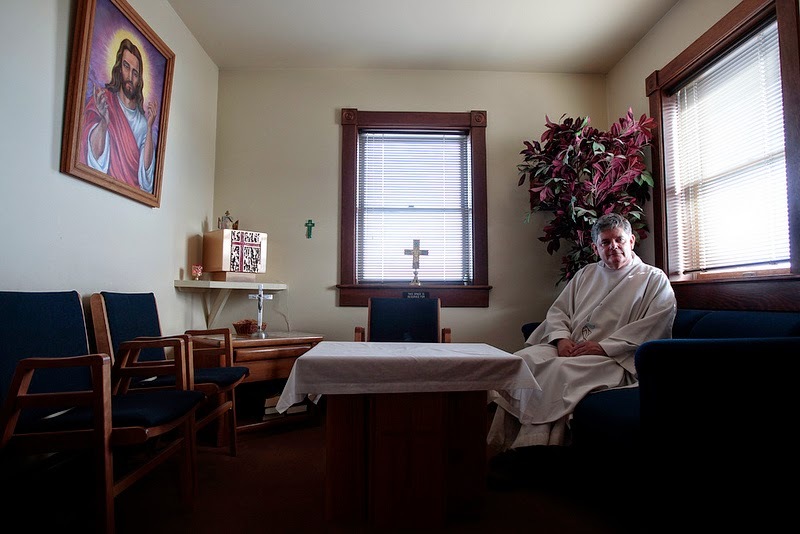 The non-denominational church also does its best to cater to worshippers of all religions, and Father Michael Smith has even been known to conduct Buddhist and Bahai ceremonies. 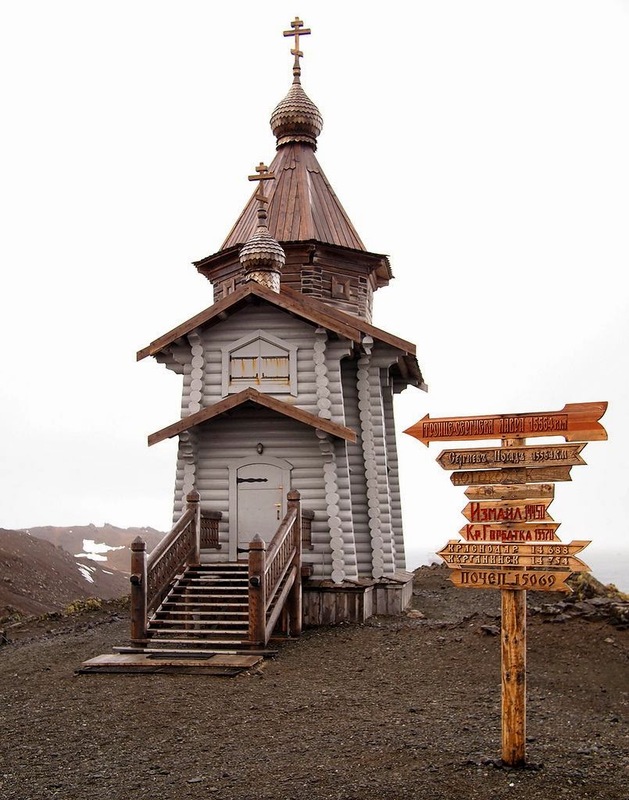 This orthodox church was built in Russia in the 1990s with Siberian pine and then transported on a supply ship all the way to the Russian (formerly Soviet) Antarctic station, Bellingshausen on King George Island. Two monks from a Russian monastery first volunteered to man the church year-round and since then, the monastery has rotated priests annually. Defying the destructive power of the polar winds, the wooden structure with Russian carvings stands 15 meters tall. 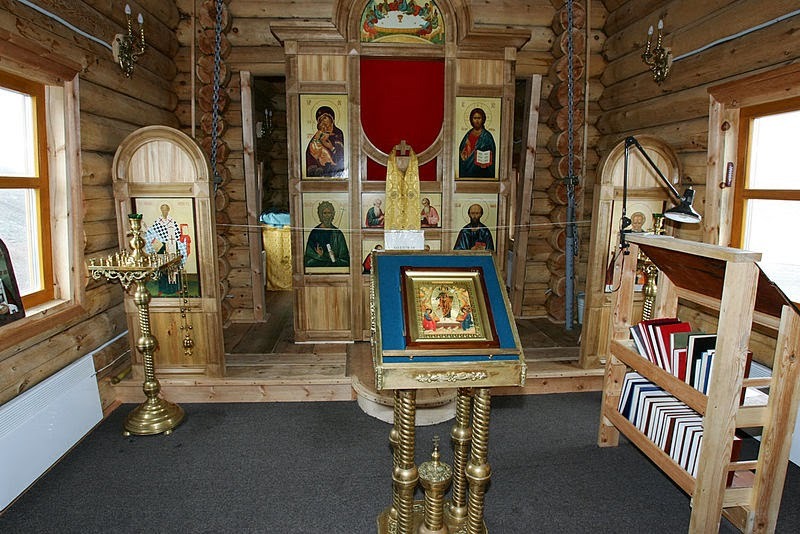 The Orthodox church can accomodate up to 30 visitors and caters to the spiritual needs of the personnel from the nearby Russian, Chilean Polish and Korean Stations. Some services are actually conducted in Spanish. 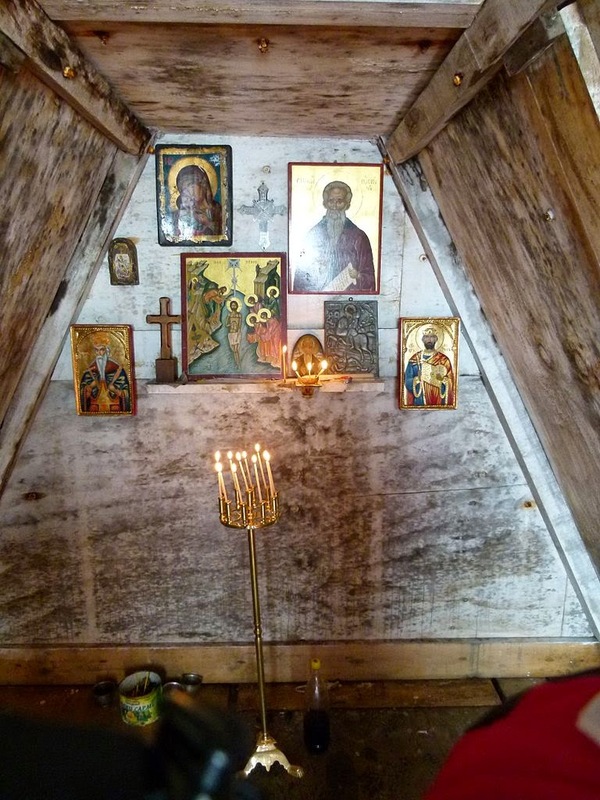 The priests’ duties also include praying for the souls of the 64 Russians who lost their lives in various expeditions. 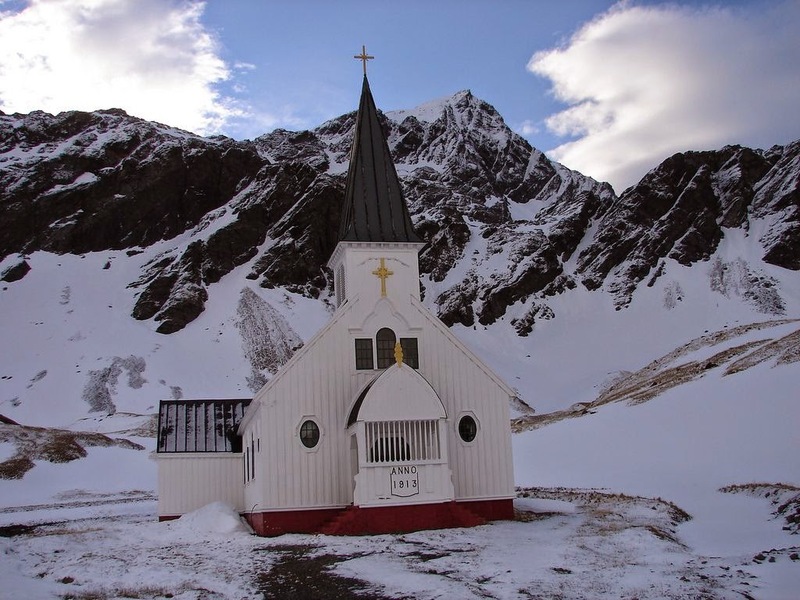 Although rarely filled to capacity, the church has performed a wedding ceremony between Russian and Chilean researchers, as well as the occasional baptism. 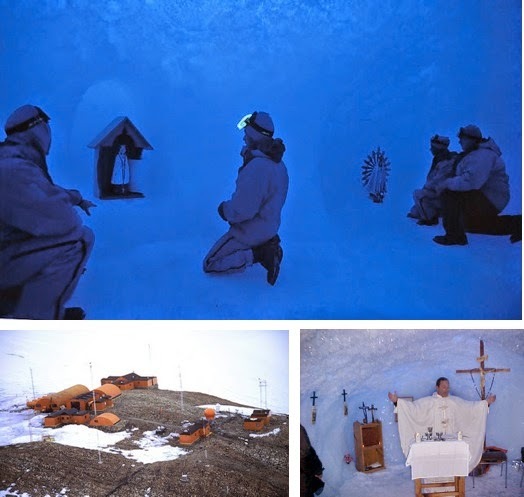 This cave church with walls made of ice is the Southernmost place of worship of any religion in the world. 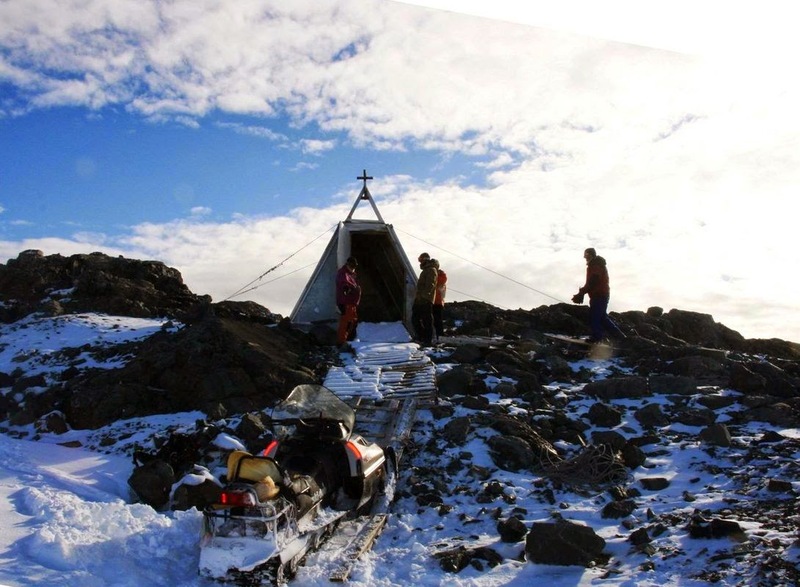 It is the permanent Catholic church for an all-year round Argentinian base and scientific research station founded in 1955 on Coat’s Island. As a result of its latitude, both day and night here are four months long and the night sky often displays the aurora australis. 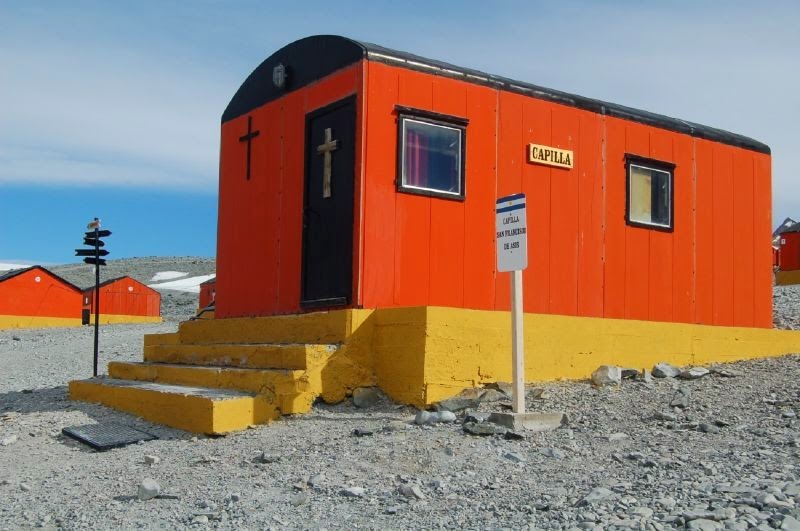 The Esperanza Base Station, one of Argentina’s thirteen research bases in Antarctica, is considered by the Argentinians as its the southernmost “city” (although it’s probably closer to a hamlet). 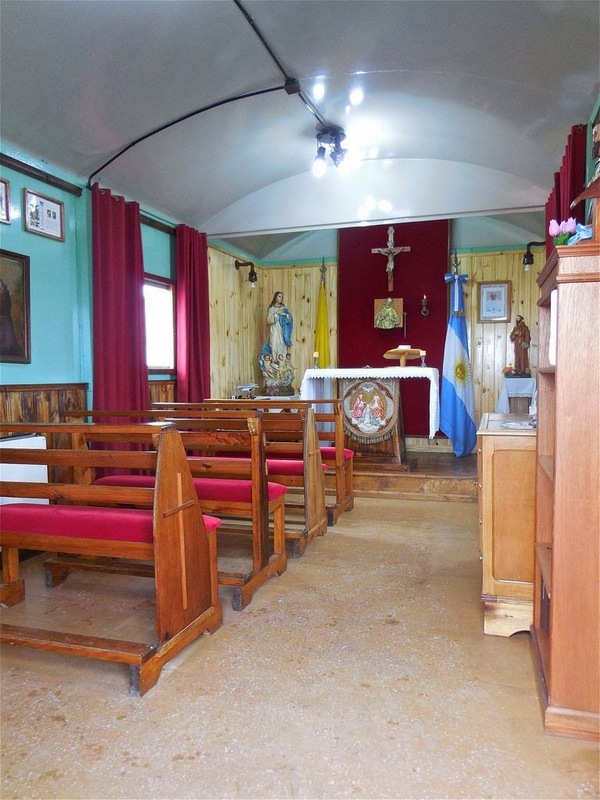 As well as a church, the permanent year-around research base also has a permanent school with teachers, a museum, a bar and a hospital with permanent birth facility where several Argentinians have been born. 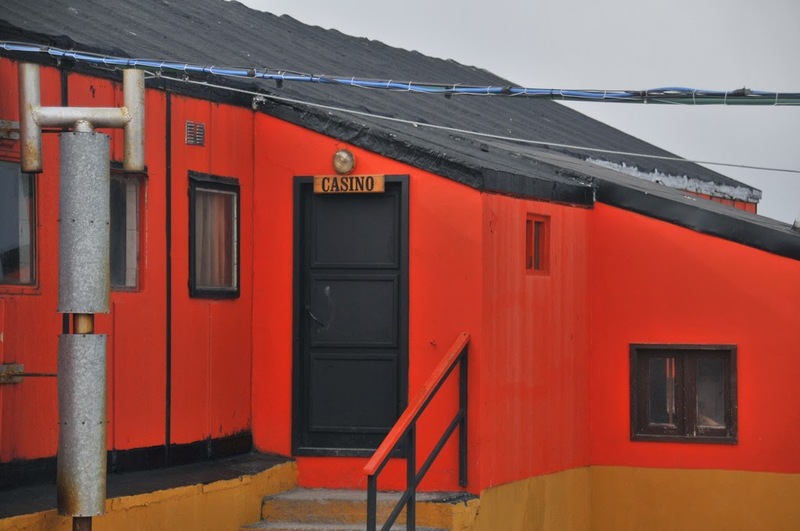 And while it’s clearly important to the researchers that they stay close to God during their time in Antarctica, they also didn’t see the harm of having a their won casino too (which also serves as the community centre). Hugged by the surrounding wall of snow, this is the church of the Bulgarian base St. Kliment Ohridski, founded in 1988 by a four-member Bulgarian team. Despite looking pretty basic, it comes complete with a chapel bell that was donated by the ex-Vice Premier of Bulgaria who worked as a doctor at the Bulgarian base in the 1993/94 season. 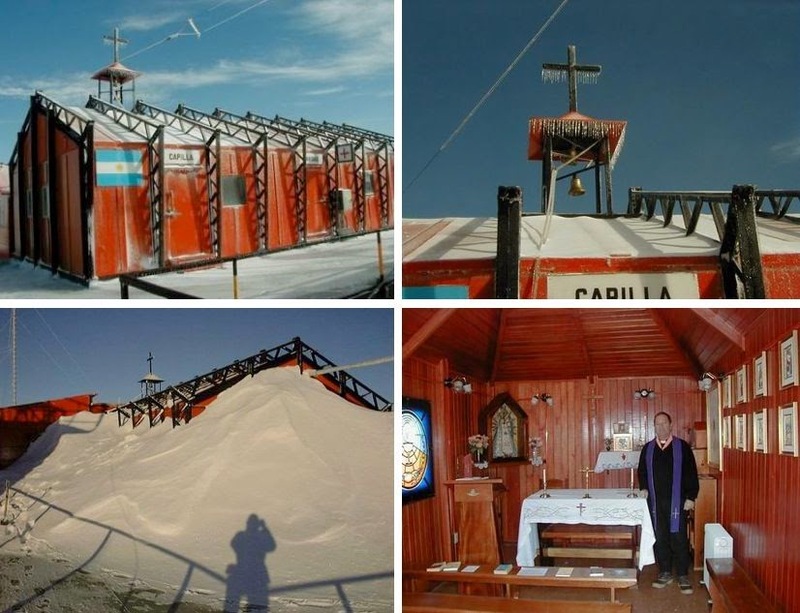 Probably one of the few churches in the world made out of shipping containers, this is the unusual place of worship of the biggest civilian settlement in Antarctica, with a summer population of 120 and a winter population of 80. Located on the Chilean military base of King George’s Island, Villa las Estrellas is home to several personnel’s families with children who live there for up to two years at a time. Religious ceremonies are given by a deacon who lives on the base. 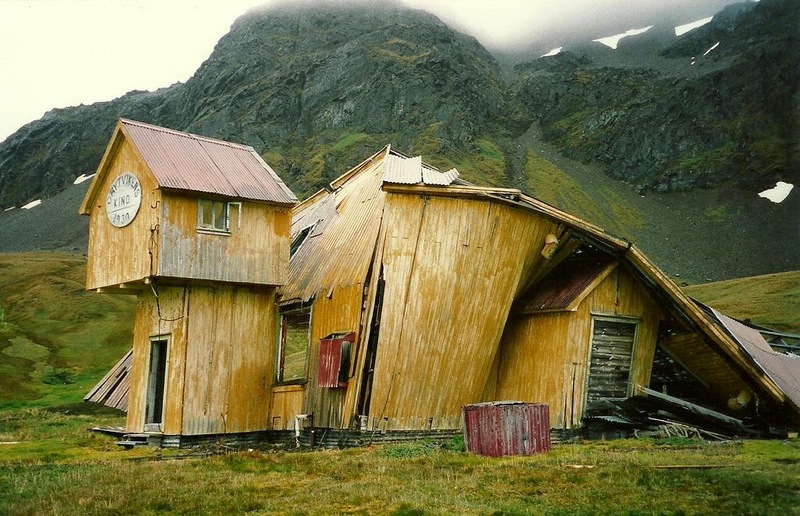 The town also has a school, a hostel, a post office and a bank. 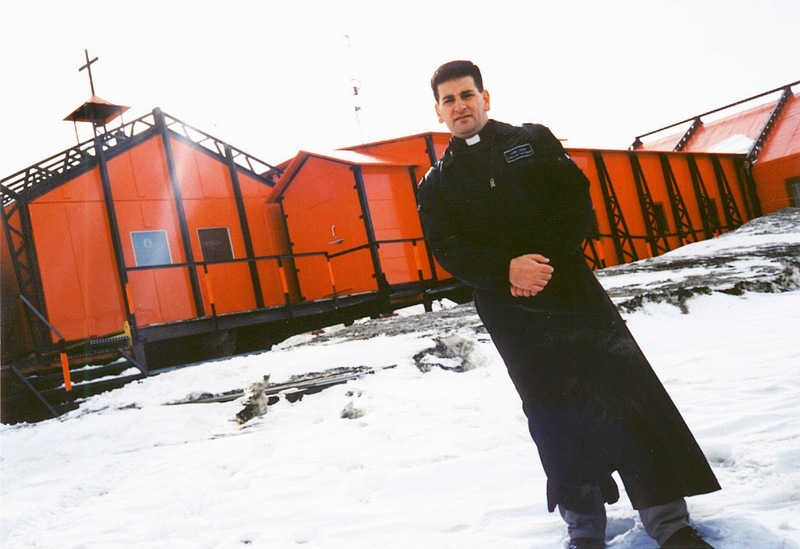 Posing in front of the steel-structured Catholic chapel on another of Argentina’s research bases, Father Nicholas Daniel Julian sure looks like he could use a better coat! 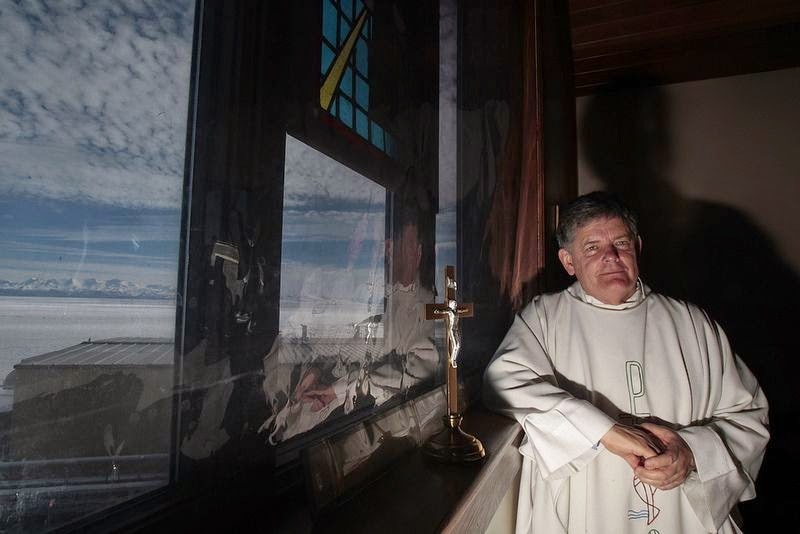 He helped build the church on the permanent, all year-round base, considered Argentina’s most important base in the continent. 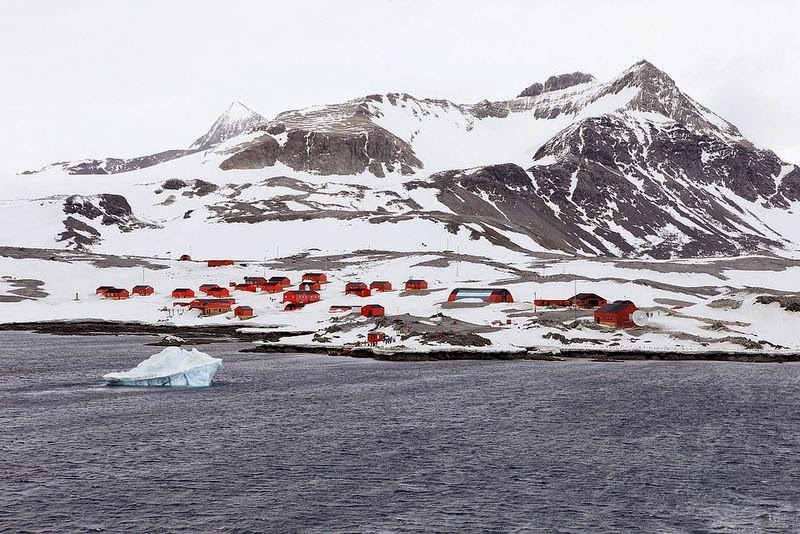 At the time of its construction it was the first airfield in Antarctica and is still one of the most frequently used ones due to its suitability for wheeled landing, for which it is called “Antarctica’s Entrance Door”. 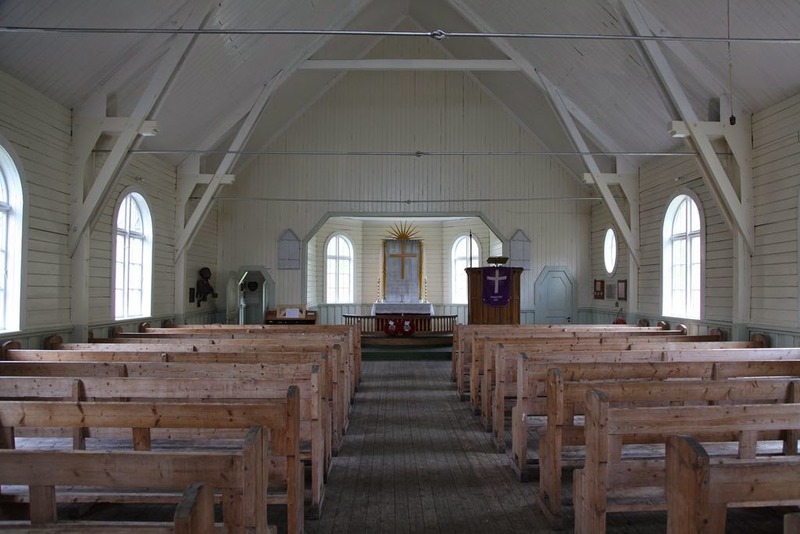 This Neo-Gothic church was built in 1913 for a whaling station, in Grytviken, a settlement in South Georgia established by Norwegian sea captain. 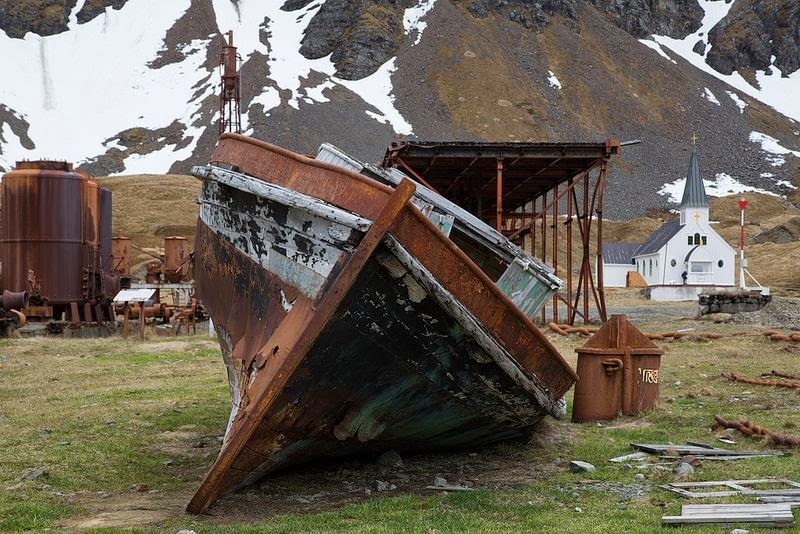 Erected by the whalers themselves, hence its nickname “Whaler’s church”, it is the only building in Grytviken which has retained its original purpose since the now abandoned station closed in 1966. When the settlement was first established in 1904, it took 195 whales in the first season alone. 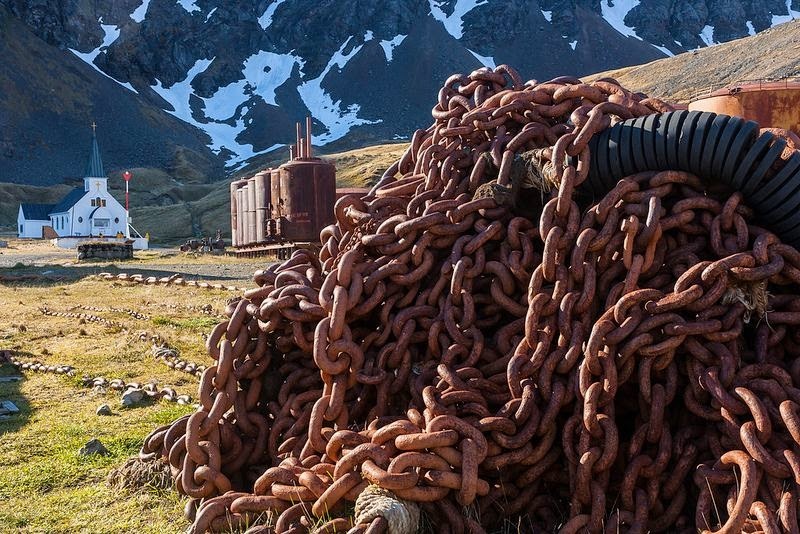 The whalers used every part of the animals – the blubber, meat, bones and viscera were rendered to extract the oil and the bones and meat were turned into fertilizer and fodder. Elephant seals were also hunted for their blubber. 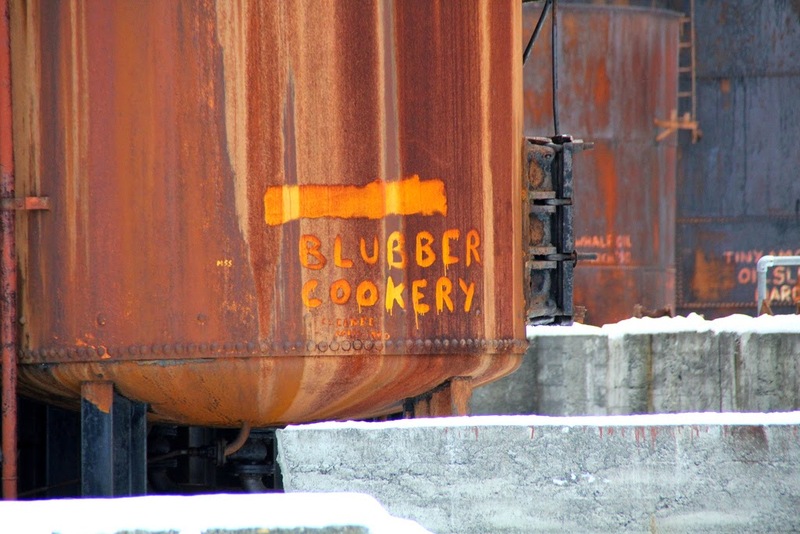 Around 300 men worked at the station during its heyday, operating during the southern summer from October to March. The whale population in the seas around the island was substantially reduced over the following sixty years until the station closed, by which time the whale stocks were so low that their continued exploitation was unviable. 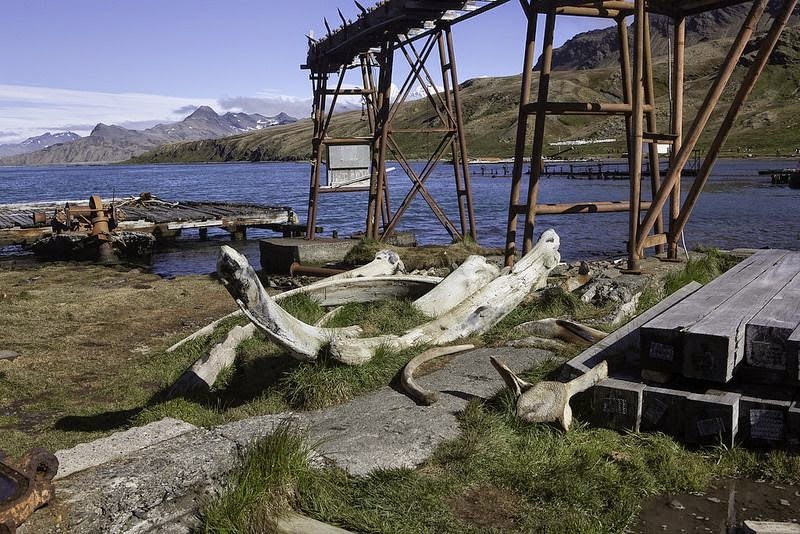 Even now, the shore around Grytviken is littered with whale bones and the rusting remains of whale oil processing plants and abandoned whaling ships. 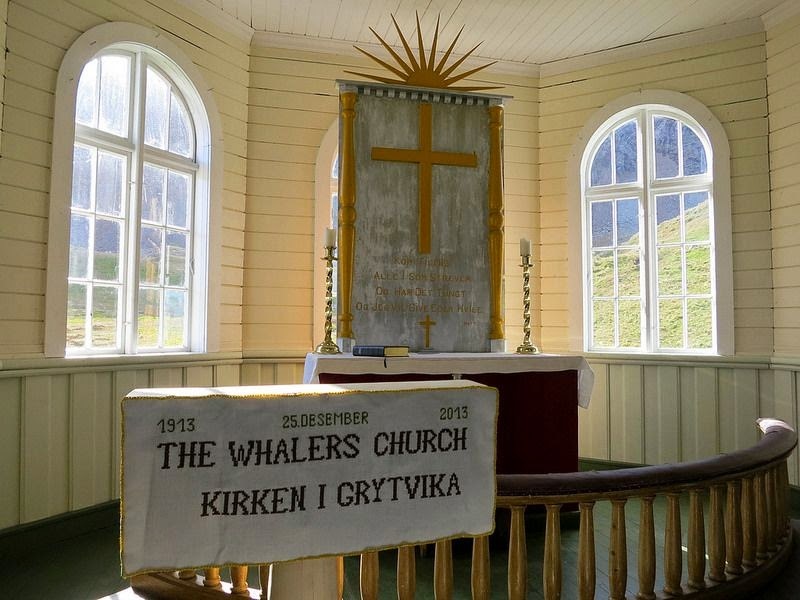 In 1998, the whaler’s church was renovated by the keepers of South Georgia Museum, which is housed in the manager’s house of the former whaling station. 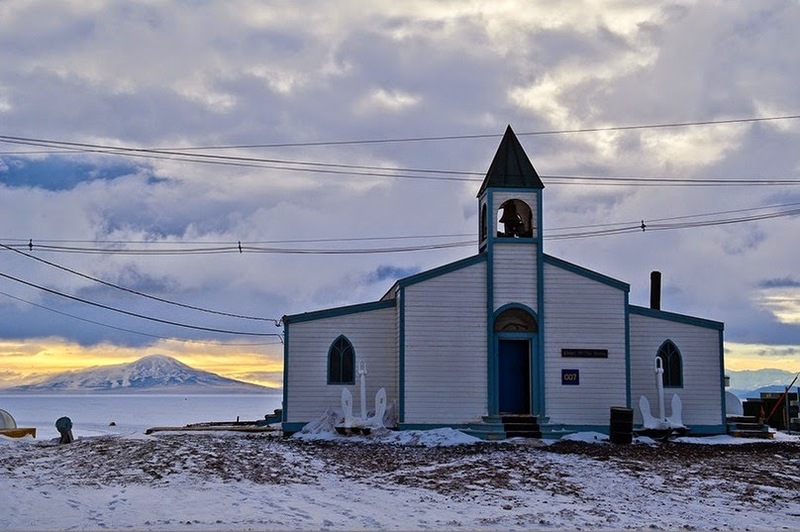 The church is rarely used except for the occasional service marriage ceremony, typically for descendants of whalers who was buried at the settlement. 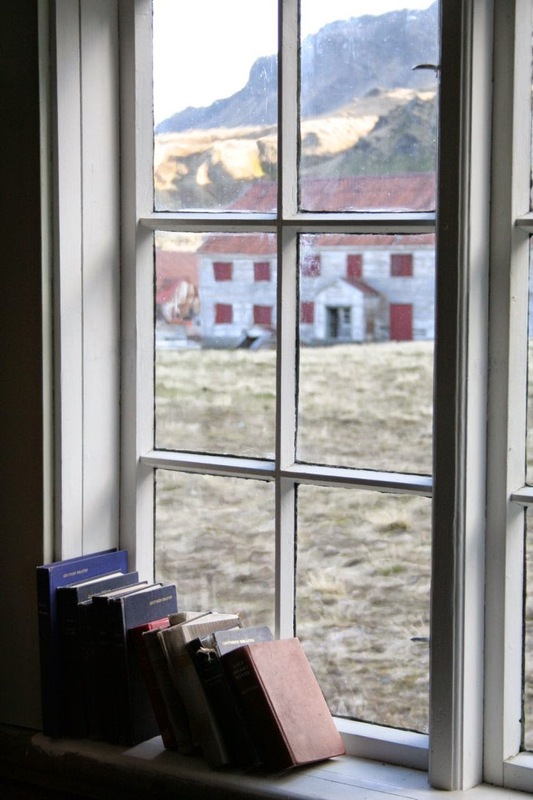 You may also recognise the church and abandoned whaling station from a cameo appearance in the 2006 Oscar-winning feature film, Happy Feet.